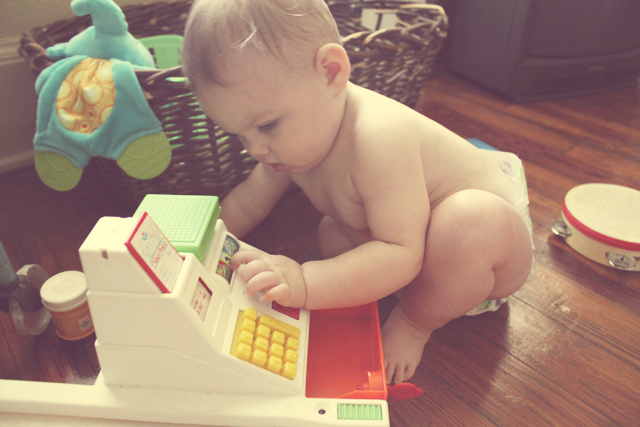 We found this vintage cash register toy for Rowan at a yard sale on Friday and it's extra special because I had one when I was a kid and I loved it. Rowan loves hers now too and I snapped these pictures of her ringing up some groceries yesterday. 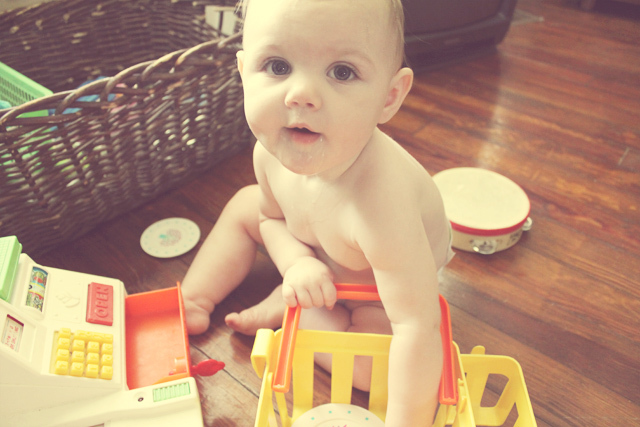 It's so fun seeing her play with things that I had when I was little. Rowan is so cute and she has a very expressive face, so nice! I loved mine when I was little too! I'm sure my mom still has it. kingston always plays with my kiddo shopping cart when he goes to my mom's haha. 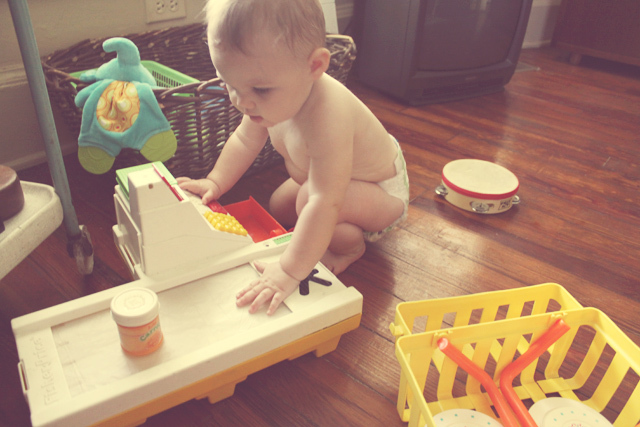 its awesome to see him play with old toys! I had that too! i totally remember the cherry on top of the cup cake, what a good find! I used to have one of those too!Definitely brings back memories! that's so cute. 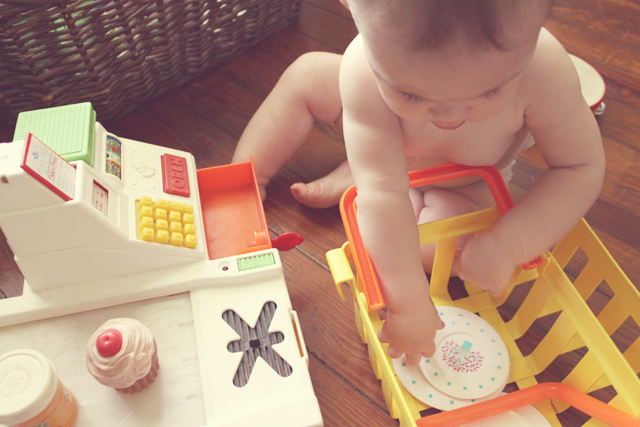 i had a old play kitchen when i was little. i loved it! That is awesome! 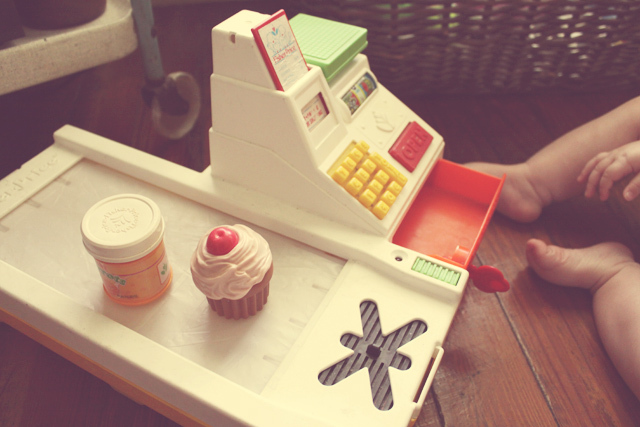 One of my fav "make believe" games as a little girl was playing "store"! 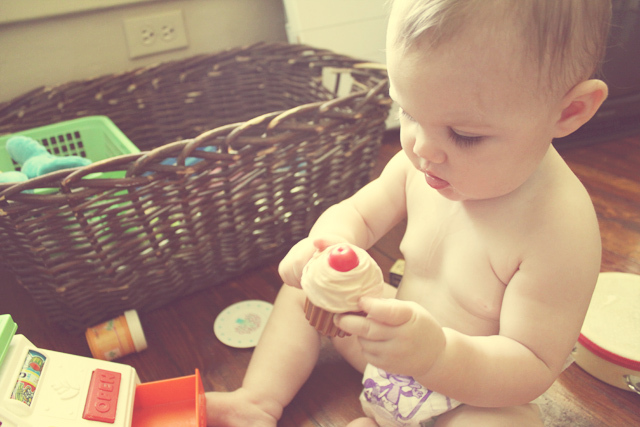 that cupcake looks really cute! I had all of that too! Everything to a T! The register, the cupcakes, the baby food jars, I had it all :) I hope Ro enjoys!! This is bringing back crazy memories! 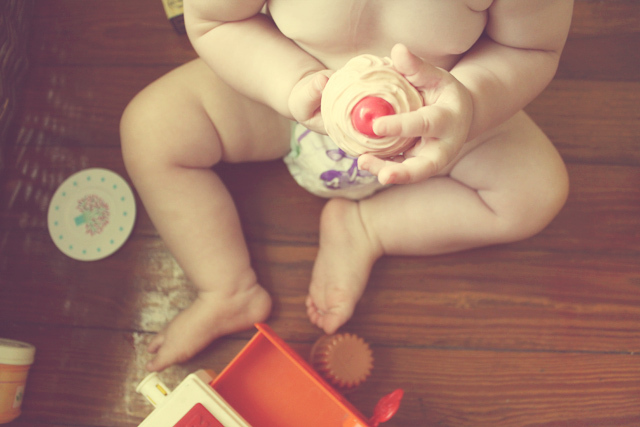 I had this too, and the little jar of carrots (toy baby food right?) Love it. 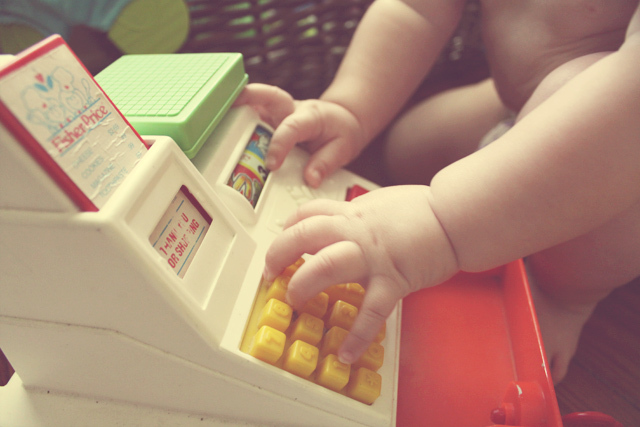 That's the coolest toy ever!